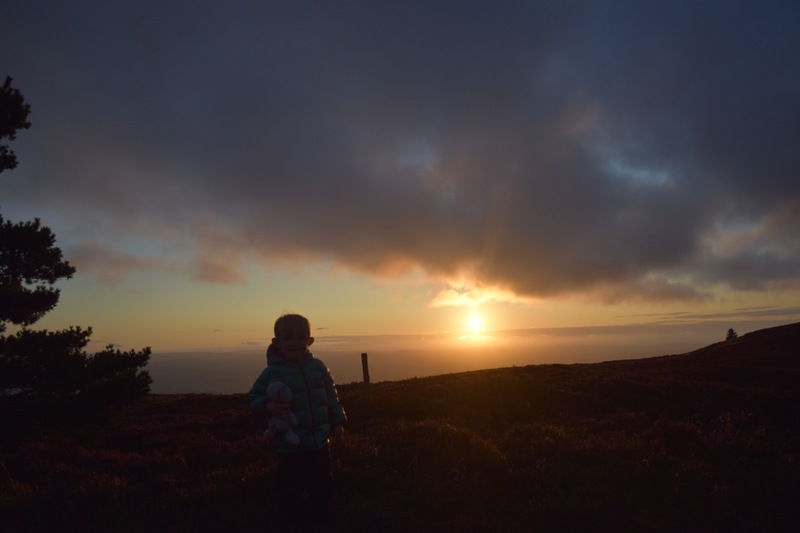 After such a busy holiday period, and nearing my return to work, I was looking for a couple of last minute family adventures. I can honestly say that, after a summer holiday where we were barely at home for the first four weeks, a summer that involved music festivals, family camping holidays, surfing, hiking trips up to the Lakes, long days scrambling in Snowdonia, and just lots and lots of ‘us’ time, I had definitely made the most of my teacher holidays. However, as my return to the chalk face neared, I was still craving more. Plus, I wanted a way to celebrate the fact that our eldest, Jesse, was finishing nursery and about to start pre-school. What better than a night in the wilds under the stars! The fact that we were hammock camping was just a huge bonus. 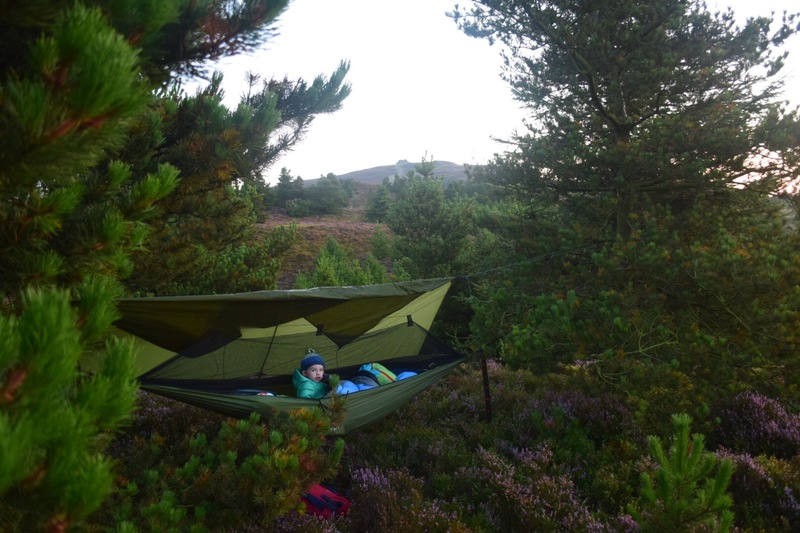 Despite many years of camping and wild camping, I was a hammock camping virgin. When the delivery arrived I was beyond excited. Setting it up for the first time was as simple as I’d been promised. The tree straps supplied with the hammock made hanging it a breeze. 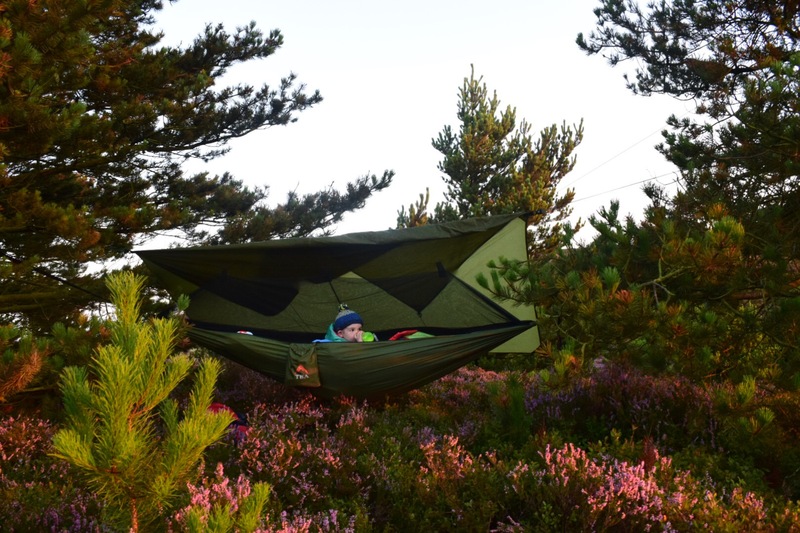 Furthermore, with just a basic knowledge of knots, it is possible to hang the protective tarp in all manner of configurations. That said, even without a knowledge of knots, it is still possible to create a ridgeline setup, for example, by buying things like the Nite Ize CamJam or a Figure 9 karabiner. Despite my pleas for more time to tinker with the setup, however, as you can see, it was soon hijacked by Nat and the kids. As this was our first night hammock camping, I chose a spot relatively close to home. 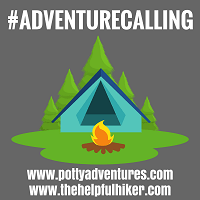 I was determined that I still wanted it to be a proper wild camp, away from the amenities and company or commercial sites but, being just a 20 minute drive away, meant that if Jesse didn’t take to it, for whatever reason, I could ring Nat and she could come and rescue us. I also made sure that the spot I’d chosen was only a relatively short hike from our drop- off point. Jesse is a great little walker but I was again considering how quickly we could get back if we needed to. I’d already visited the spot on a recce a few days earlier, and knew it would be perfect. What I was looking for on my recce was for a spot removed enough from the trail to be wild. I also wanted a position that could give us both a sunrise and sunset if conditions were clear. These, after all, are the sorts of things that generate great memories. A water source wasn’t important on this first outing. I could carry enough over the short distance to be hiked for our duration. Lastly, of course, we needed trees. I had considered another spot deep into a woodland area but this wouldn’t have offered any amazing views. Moreover, the perpetual darkness may have spooked Little Bear. Consequently, I settled on a group of three trees on nice high ground that offered views in virtually all directions. Despite taking me only about 30 minutes to reach on my recce, the pace inevitably slows somewhat with a walking three year old in tow. The early evening was beautiful though, so I was more than happy to bumble along chattering about superheroes and dinosaurs. When we arrived at our camp site I began to setup. Although not ideal, I’d taken the decision to pack the iPad to keep Jesse occupied whilst I set up. That way, I could work as quickly and efficiently as possible without worrying about what he was doing. To be fair it worked really well and, not long after, the iPad was turned off and we were readying supper and chatting utter nonsense. 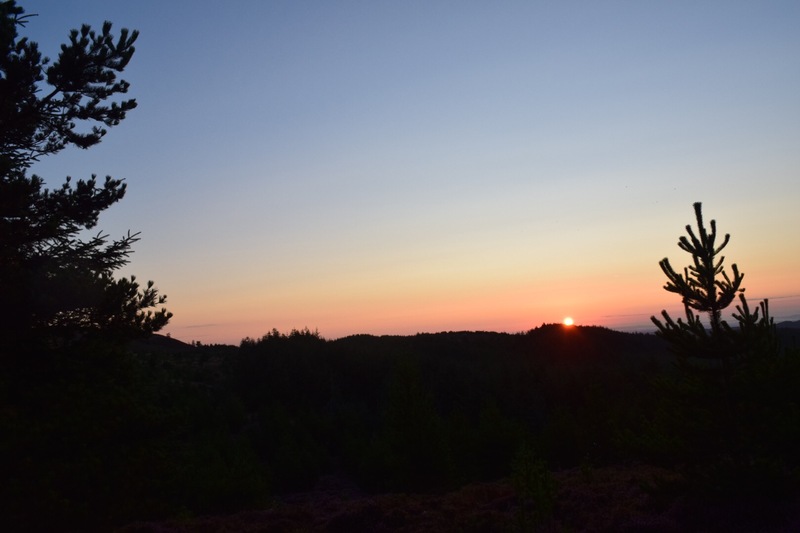 I knew that sunset was estimated to be at 8pm so, following our quick snack and drink, we left camp to hike further into the hills. Now, with just a light daypack, some emergency spares and gear, and our headtorches, we kept our fingers crossed for a cloudless sky. We weren’t disappointed. We sat, we enjoyed the views, we threw sticks at imaginary objects and Jesse (alone, I might add) danced around without a care in the world. It was a perfect father-son experience so far. The excitement of walking back with our headtorches made for slow progress. Jesse wanted to stop and check out everything he’d spotted in the light. 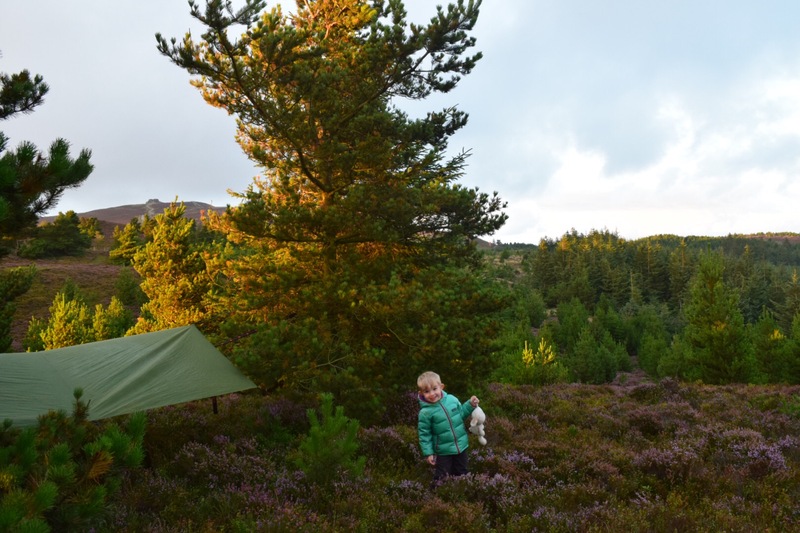 However, the advantage of wild camping is that there is no rush. It didn’t matter how long it took us to get back really. 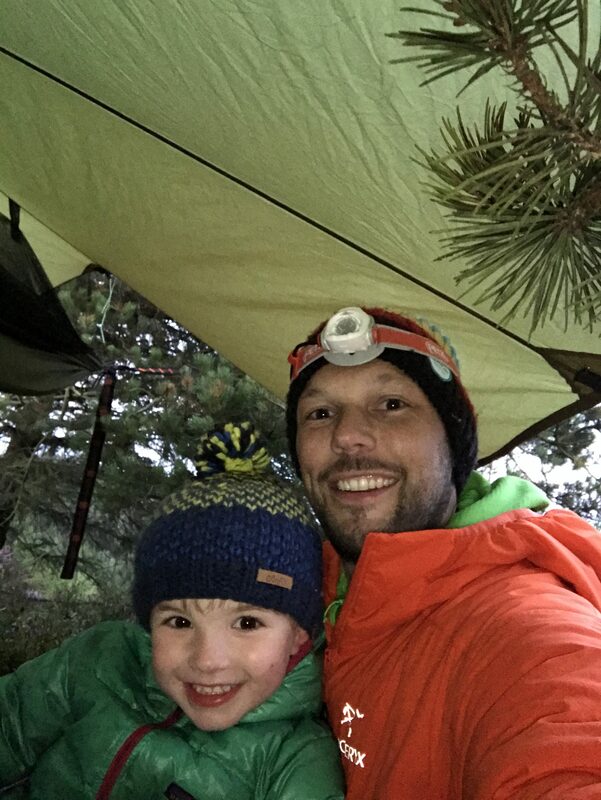 Eventually, we arrived back at the hammock and I prepped a goodnight hot chocolate for Little Man. Ok, I admit it, I cracked open a single celebratory beer for myself too. Soon, however, the thought entered my head of needing the loo in the middle of the night and having to disturb him to get up. Consequently, half a celebratory beer had to suffice. The sacrifices you make, hey! Jesse fell asleep like a dream. He also slept pretty well throughout the night. To be brutally honest the same can’t be said for me. Hammock camping is remarkably comfortable. It beats a tent for comfort hands down. However, Jesse is a wriggler, you see. So, between that and waking regularly to check him, I was pretty tired the next day. 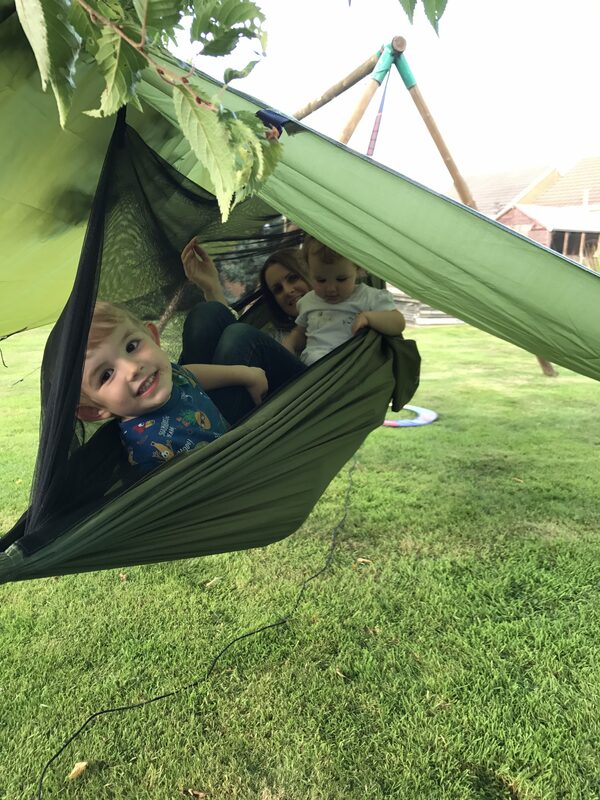 The hammock was large enough for us to sleep side-by-side but, on numerous occasions, he seemed to have manoeuvred himself on me and across me. I can’t say I minded all that much. Tiredness is a small price to pay for parental experiences like these. Hammock camping had me hooked already. 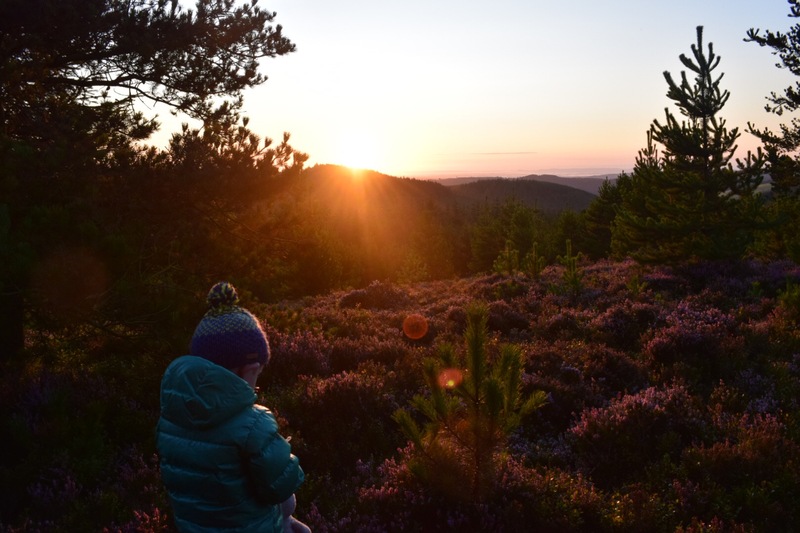 The next morning we woke to the sounds of foraging game birds and a brilliant sunrise. The fact that it had risen above the low-lying cloud in the valley below just added to the beauty. We then got the stove on, refuelled ourselves, and packed down slowly. Importantly, we made sure that’s we’d left no trace. In fact, we even picked up a couple of pieces of other people’s rubbish that had drifted our way in the breeze. The hike back to our original drop off point was a joyous walk. The sun was out in full force by now and I was basking in how well everything had gone. Jesse, having been told a million times how proud I was of him, was also on top form. We nattered, spotted a few animals, picked up a couple of bits of stray rubbish (people really need to learn to take stuff home with them! ), until we saw Nat and our youngest waving at us in the distance. Full of the stories of our adventure we did what any other family would do at point. We rewarded ourselves with a big fat Mcdonalds on the way home. We can’t wait to go again. 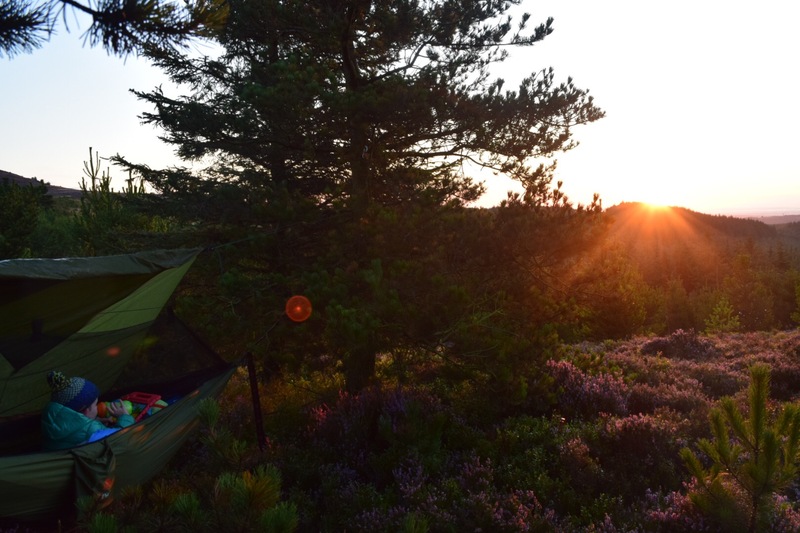 That is brilliant, I really fancy hammock camping at least once in my life. I can’t imagine my kids wanting to do something like that at such a young age (I’m sure the cold would be too much), now at much older ages they may or may not. WOW – what an experience! I am so pleased you had a clear sky. Don’t feel too bad about taking the iPad – like you say, the quicker you set up, the quicker your real adventure could start and the iPad was forgotten. Thanks so much. Yeah the iPad was definitely a sensible trade off. Hope you’re having a good weekend. Maybe something I’d do as an adult on a warm night, and my son would do with his Scout troupe. 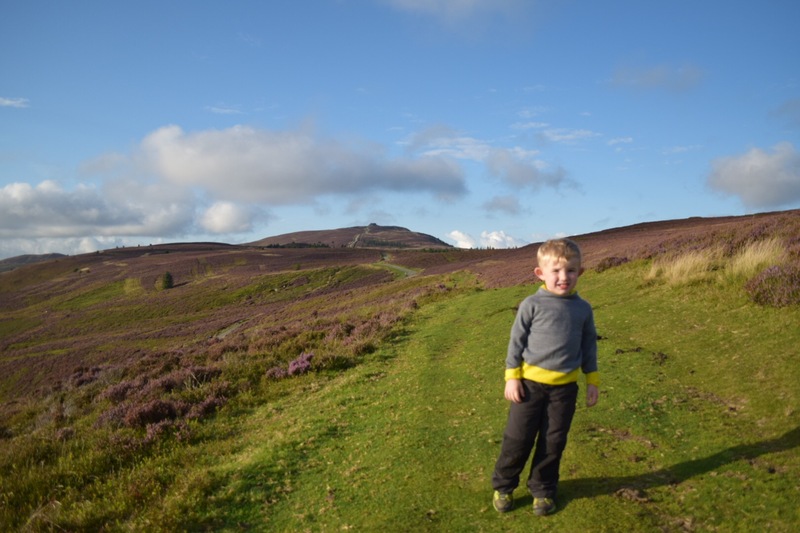 Emma – Hip2trek recently posted…Cloughton to Hayburn Wyke walk – involving tea, pub lunch and cream meringues! Wow I can’t wait to try that with my tribe! Beautiful photos too, especially the sunrise one with your son still in the hammock. What an experience! I too am a hammock virgin. Whenever we camp with Scouts they are all mostly in hammocks but I have always been a stalwart tent person. However, this may change having read this! Awesome! 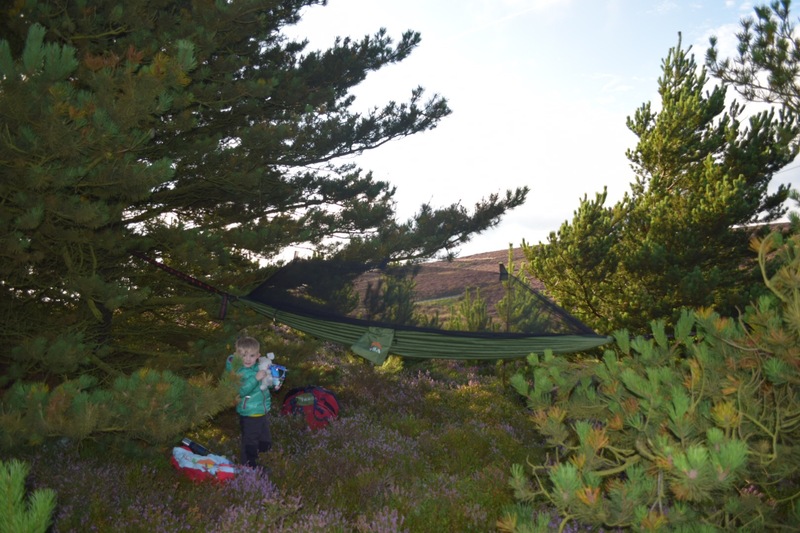 The first time I camped in a hammock was life-changing….I’m never using a tent again! I always though hammocks wouldn’t be comfortable to sleep in, but never realized I was just laying in them wrong. Definitely recommend everyone give it a try. Much lighter and easier to pack, too! I have a 2 (almost 3) year old, and I can’t imagine doing this yet, so you guys have done well! Thank you, we had a great time. 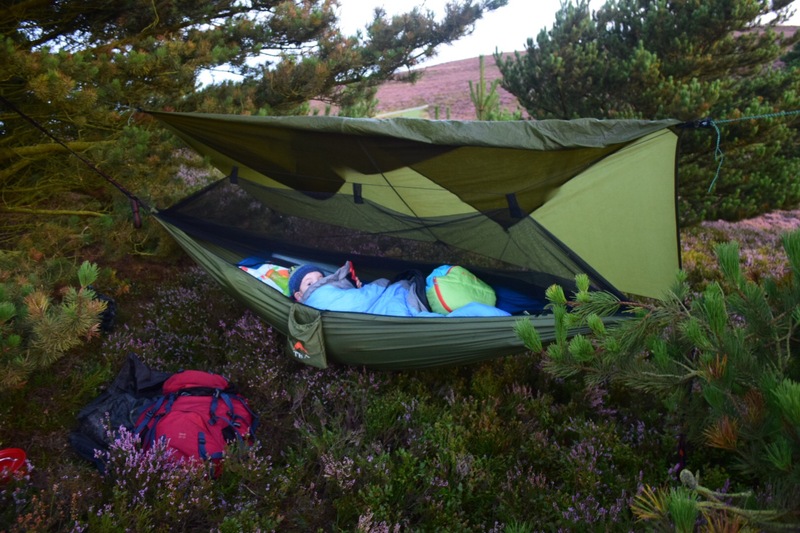 Yes, we used an Alpkit Dirtbag sleeping pad (SIM) underneath us which definitely helped to keep us warm. That together with our sleeping bags meant we had a really good nights sleep.